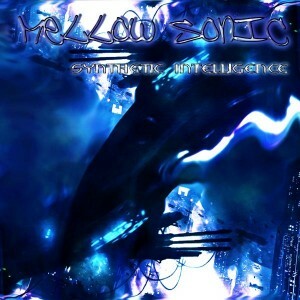 Synthetic Intelligence is a release by Mellow Sonic, an electronic music producer from Germany. Here he provides us with a science fiction adventure that will stimulate the senses with futuristic atmospheres and psychedelic drum ‘n bass and breakbeat music. This album was produced with FL Studio 10 and Orion 7.5. Mastering by Schorschie. Artwork by Katozuka. MP3 Download | FLAC Download | WAV Download · Download count: 9,145. Mellow Sonic on Ektoplazm? WAT!? My prayers have been answered! Instant download. I recommend everything that comes out of his brilliant mind. May Mellow Sonic and Cybernetika live forever! Cool! Been waiting for some DNB. I’ve always loved Cybernetika’s tracks and Mellow Sonic’s are right up the same alley. Fantastico! Fantastic album, Deus Ex Machina Rocks!!!! Nice feel to this album, some very cool sounds indeed! good work Mellow Sonic! excellent release, I love the subtle psy vibe in all the tracks… good stuff here. So I downloaded a bunch of music from Ektoplazm. Was listening through it, and after I while I’m realizing that what I’m listening to is seriously cool. Clicked on my music player to see what was actually playing – it was Synthetic Intelligence by Mellow Sonic!